Albany High School competed on Saturday, November 18 at the 2016 North Coast Section Cross Country Championships in Division 4. Junior Riley Harmon finished the three-mile race in twelfth place with a time of 18:55.1, which qualified her to run as an individual at the state championships in Fresno. She is the first female runner from Albany to qualify for the state championships. 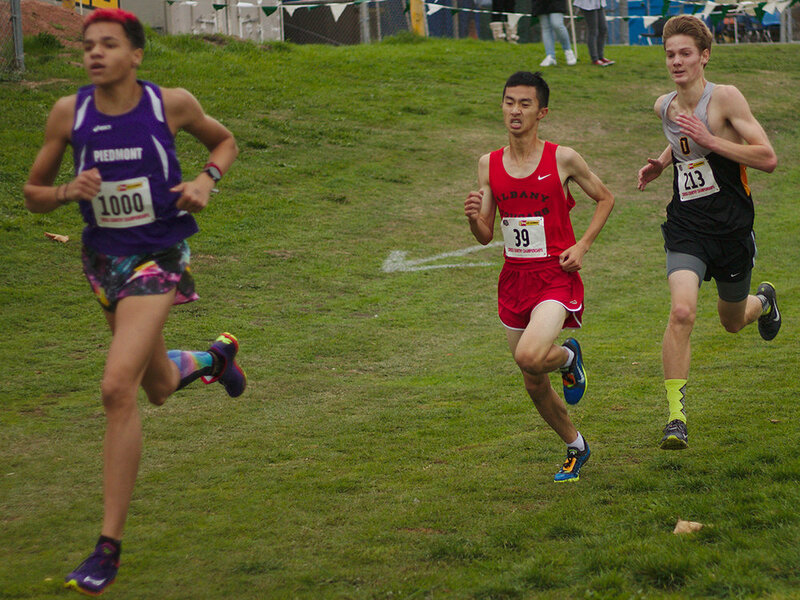 Senior Darren Leung finished eleventh with a time of 15:57.5 but did not qualify for state. He did not qualify for state as an individual, as only the top five individuals who do not qualify with their team may qualify as individuals. Neither the men’s nor the women’s teams qualified for the state championships. The men’s team finished fifth of 22 in team scoring, with a score of 145 (lower is better), while the women’s team finished eighth of 19 with a score of 249. Overall, Bishop O’Dowd won the men’s Division 4 race as a team with a score of 65, and senior Ryan Cutter of Hercules placed first with a time of 15:13.3. Miramonte won the women’s Division 4 race as a team with a score of 55, and sophomore Cassidy Haskell from Miramonte placed first with a time of 17:34.8. The weather during the Division 4 races was cool and overcast but not rainy.